through the mountainous media clutter at the 2015 International CES in Las Vegas. Having attended all prior Consumer Electronics Shows since 1990, ScanMyPhotos.com has dozens of additional tested recommendations that worked for us, but those are secret to keep us light years ahead of others attempting to score media coverage. Hey, we need to keep some cards face down. CES is the world’s largest consumer trade show, held each January in Las Vegas and attended by hundreds of thousands of tech innovators and an ocean of media contacts. 1) Have a compelling story. You have less than the standard 30-second elevator pitch time to grab attention. Two sentences max to attract interest. Have your story 10-times better and create urgency. Solve a problem: ScanMyPhotos.com solved the biggest problem in photography: we pioneered an easy and affordable – with a game-changing crazy low price to scan the nations and overseas pictures. ScanMyPhotos.com digitized one-quarter billion photos. People are sharing these decades of nostalgic memories on all the photo sharing Apps and new photo gadgets introduced at CES. 2) Download and memorize every tech reporters’ and bloggers’ headshots. Print up like baseball cards and study their backgrounds. Reporters at CES hide their name badges or use others so they aren’t recognized. 3) Focus. This is like a safari hunt to locate and capture media attention. Don’t be looking down at your mobile phone when walking, instead look forward at everyone you pass for the media in the crowd. 4) Position yourself. Stand near media events and news conferences and chat with reporters as they enter, leave. Start with a friendly intro, vs. heavy pitch. 5) Be visible, but silent. Don’t use social media to alert competitors to the media contacts you met. 7) Be prepared to fulfill an onslaught of orders. Work with your customer service team (at ScanMyPhotos.com they are called “personal customer service concierges”) to prepare them for pending media coverage. The most important process in making media is to then dazzle every new customer. We even send flowers to customers with compelling stories. From needing pictures scanned for a memorial service to raving fans who used our live support or called to comment on how impressed they were with ScanMyPhotos.com. Surprizing customers with flowers are our only marketing budget item; people take pictures of the flowers, post with a lengthy narrative about their ScanMyPhotos.com experience and we reach dozens or hundreds of new raving fans. 8) Wear comfortable shoes. Start early, stay late and network. Be bold. Ask everyone you meet what their best, most successful marketing and media pitch was and who profiled them. 9) Only connect with reporters who cover your beat. There are many at CES who don’t write about your specific industry, product. 10) Take advantage of other companies held captive in the booths. Most attendees are stuck at their booths, immobile all day. Use that as your advantage to walk the show and gain valuable visibility. Never rest. Stand near company sponsored events to track down media guests. Happy holidays! Here is the most personalized gift idea for everyone on your list from ScanMyPhotos.com to have generations of nostalgic photo snapshots digitized. 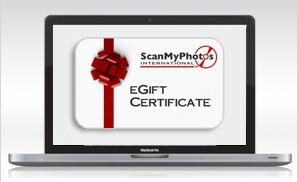 The eGift Certificates are easy to order, pay just $20 for each $25 denomination ordered, send to your entire gift list to redeemed towards any online products at ScanMyPhotos.com. We digitized one-quarter billion photo memories. MUST USE THIS PROMO CODE AT CHECKOUT: “HolidayGift” Are your family members and friends impossible to shop for? Surprise them with the unique gift of happy memories by sending them an Egift certificate for photos or 35mm slide preservation. No wrapping and it’s instant. Everyone on your holiday gift list will soon be walking down memory lane while knowing they have preserved special memories for decades to come. Once your purchase is complete, the recipient receives an email from you with the Egift certificate code, instructions on how to use it, and your personal gift message. ScanMyPhotos.com is here to help throughout the simple process with professional customer concierge specialists. Note that Egift certificates are not redeemable for cash and are valid only for online orders. Sales tax may apply. Looking for a touching gift to give? Need a unique way to document your family’s history? Or maybe you’re ready to compile all those summer vacation pics into one happy story? Then you, my friend, are in need of a good photo book service! Photo books are a phenomenal way to store, access, and enjoy your photos and memories. You can create a photo book for just about any event you can imagine—be it wedding ceremony, sporting event, traveling adventures, all of baby’s firsts, anything! Ready to illustrate your memories into a beautiful story? Check out these photo book sites for inspiration. Have a ton of old prints lying around but not enough time or energy to scan them? 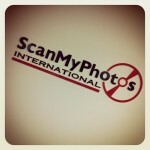 Since 1990, Southern California-based ScanMyPhotos.com has helped customers scan over 250 million physical prints. As digitizing old family photos is catching on as a trend, the company’s most popular service is something it pioneered: the USPS prepaid box deal. It’s a flat rate option for scanning large quantities of photos. Pack as many photos as you can into it, send it in, and receive digital versions of every photo.